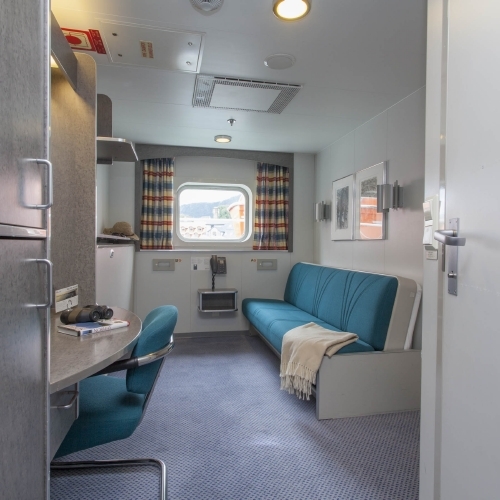 Hurtigruten – Sail into an Adventure! 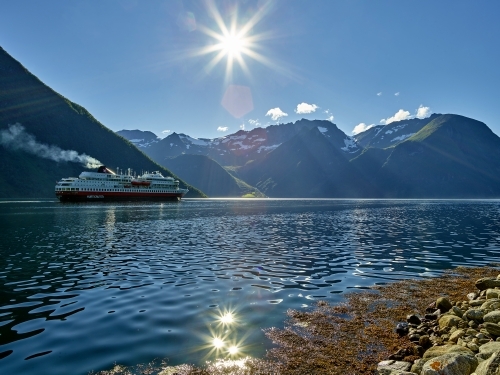 Since 1893, Hurtigruten ships have been a hallmark of the Norwegian coast. 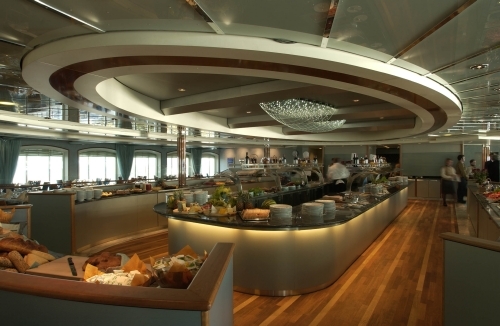 On all of the 14 ships in today’s fleet you will find modern facilities carefully blended with true character. Cruising with Hurtigrutenn offers amazing scenery and travel experiences such as along the Norwegian coast and other great destinations like Antarctica, Svalbard and Greenland! Hjørundfjorden is a fjord in the traditional district of Sunnmøre in Møre og Romsdal county, Norway. It is located mostly within Ørsta Municipality, although part of the mouth of the fjord is in Sykkylven Municipality. No one takes you deeper into the Norwegian fjords than the experienced captains and crew on Hurtigruten. And no one takes you closer to the people who live there, their culture, traditions and way of life. So if you are looking for a voyage filled with real cultural insight, active experiences and delicious food from Norway’s Coastal Kitchen, then you should look no further. 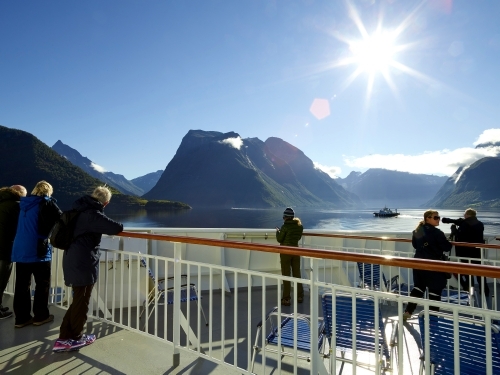 Welcome on board the original coastal voyage with Hurtigruten. With several exciting new offerings this year, including a new ship — MS Spitsbergen — and a number of new expeditions. In addition to expeditions to Antarctica, the Chilean fjords, Spitsbergen and Greenland, you can now venture into the Amazon Rainforest, sail in the wake of Viking explorers to Canada and Newfoundland and join a variety of other interesting ocean crossings. No matter what ship you choose to travel on, you will get the opportunity to connect with your inner explorer — that’s a promise. Chefs create three-course dinners and lavish buffets, based on the season’s best ingredients. Since this is a coastal voyage, seafood often dominates the menu, accompanied with fresh vegetables and delicately flavoured sauces. Each dinner ends with traditional desserts, like homemade cakes, puddings, berries or sorbet. Breakfast and lunch is served buffet style. Follow in the footsteps of Edvard Grieg, Norway’s national composer, on one of 12 special Cultural Voyages in April and May 2016. Sail along Norway’s spectacular coastline, through a landscape that has shaped and defined Norwegian art, music and history. 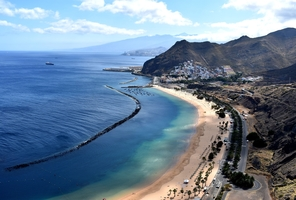 Take part in an array of stimulating cultural activities and concerts, both on-board and ashore. 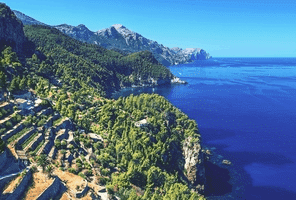 Discover the majesty and rugged beauty of the Norwegian coastline, dine on locally sourced, authentic food, enjoy hiking in specially selected port locations, explore the flora and fauna, fishing traditions, polar & Viking history of Norway and learn about its geology, glaciology and climate. 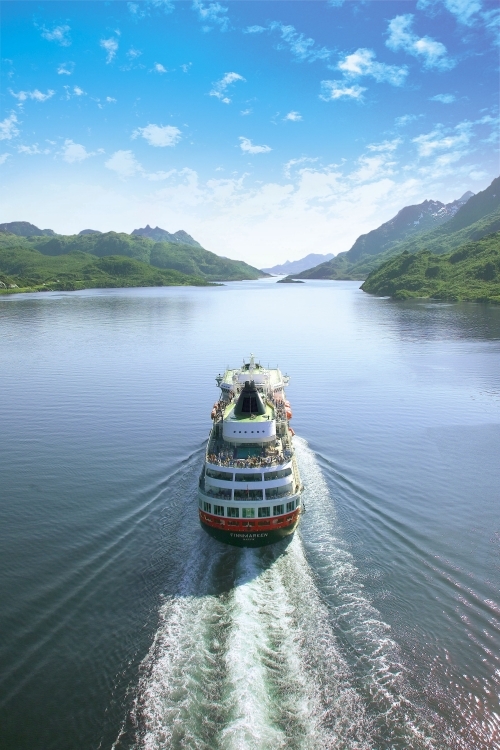 Hurtigruten has voyaged around Norway for more than 120 years, where their small ships take you up close to the fjords, waterways and ports. Whether you long for 24 hours a day of sunlight, or dream of seeing the splendour of the Northern Lights, join Hurtigruten on an unforgettable journey and explore Norway for yourself. 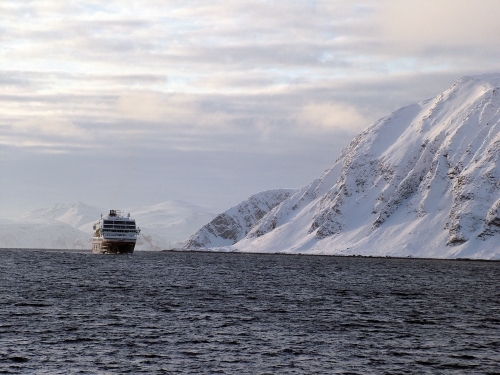 Join Hurtigruten on on expedition to some of the world’s most remote polar lands. 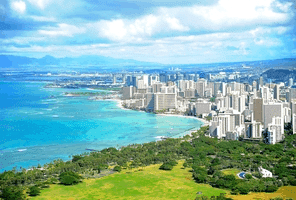 Regardless of the destination, you’ll encounter nature’s extreme beauty, incredible wildlife, and fascinating cultures.